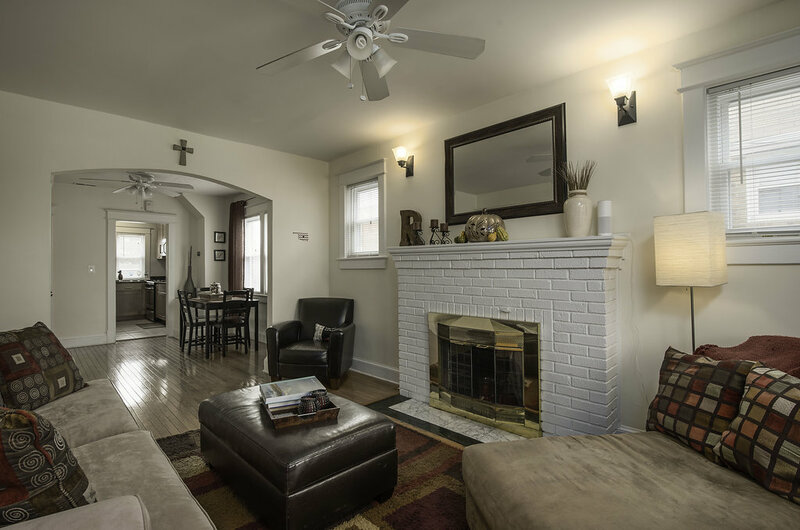 Charming home in Brightwood w/ lots of character! Updates throughout w/ recently renovated 3rd level, HVAC, & bathrooms. Kitchen w/ granite counters, soft close drawers and cabinets. 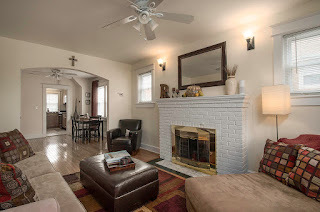 Enjoy fireplace in living rm. Basement offers private entrance w/ in-law suite. Spacious yard w/ 2 parking spaces + addtl street parking. 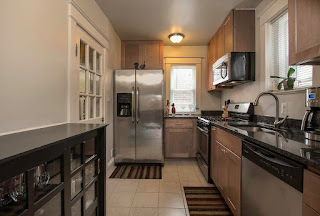 Nearby to Rock Creek Park, restaurants, Walter Reed development & Takoma metro. DC is a place that has never-ending adventure and exploration. There is something for everyone from history to art and cuisine to nature parks. However, our favorite aspect of living in DC has been the long-lasting friendships we have built. Our area has quick access to lovely hikes in Rock Creek Park, bike routes all over the city, local farmers’ markets, and our favorite breweries. Also, who else can say they have a historic Civil War battlefield in which Abraham Lincoln visited in their backyard? Our neighborhood is friendly, quiet, and safe. It’s a neighborhood where people establish roots and build relationships. One of the most difficult aspects of selling our home will be living further away from our supportive and caring neighbors, as several have become our best friends. Although our neighborhood feels quiet and comfortable, we feel we are at the hub of the best that DC has to offer. Right down the street is our favorite spot: Mooreland’s Tavern, which is owned by our friends. We also frequent Imm, a Thai restaurant, and Haydee’s, a family-owned Tex-Mex restaurant. Nearby, Takoma Park has many charming places such as Roscoe’s, Olive Lounge, and Republic. We also ride our bikes to Denizen’s Brewery, which has a great menu and outdoor seating. Our home is quaint and quiet, yet it is conveniently located to the allure of the city and the escape of nature in Rock Creek Park. It’s such a treat to live in an adorable, comfortable home and to be a short walk to a beautiful national park, shopping, and restaurants. It’s the perfect blend of city and getaway. Our house had a charisma and offered more than we ever thought we could find in the city. We were excited about owning a detached home with a private yard and a secure parking spot. We knew it was a home where our family would be happy, and it was a place where we could grow. We have put an abundance of love, labor, and monetary efforts into our home. Initially, we made drastic improvements to the landscaping in the front yard. We also installed an electric gate to make our backyard more private and to provide ease with entering/exiting in our vehicles. We renovated the shower in the downstairs bathroom by installing a mud set drainage system and new tile. Next, we completely renovated our upstairs bathroom. This was an extensive renovation in which we completely gutted the room, added insulation, replaced all plumbing and electric work. There is also a custom shower and door. Although our attic was finished, it was an unusable space in our home. We completely renovated the space down to the studs, sprayed in brand new insulation, which significantly improved the efficiency of the home. The new attic contains new hardwood floors, a customized closet from Closet America (warranty passes on to the next homeowner,) and new electric and windows. While renovating the attic, we opted to install an entirely new HVAC system in our home. With the new insulation and HVAC system, our home is more comfortable than ever.